At the Well Child Center Pediatric Dental Clinic, all children are welcome. 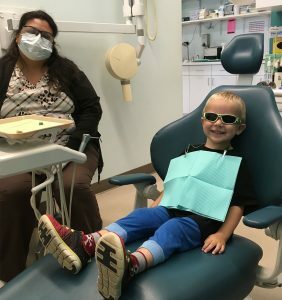 We offer a wide variety of comprehensive dental services for children from birth through age 17 and special needs patients until the age of 21. A child’s one-year WIC appointment will be integrated as part of our “First Tooth” initiative. This program model recommended by the American Dental Association is unique to Well Child Center as it is the only one within the state of Illinois. We accept Medicaid and All Kids Insurance and offer reduced fees for uninsured families. Call 847-930-6721 for more information or to schedule an appointment.